Welcome to the GP Trainer page. We hope that you find the information provided on this page useful for your role as a GP Trainer. 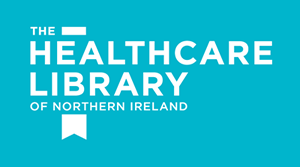 If you have any documents or useful links you would like to appear here, or you would be interested in helping to keep this page up to date, please contact gpspecialtytraining.nimdta@hscni.net. 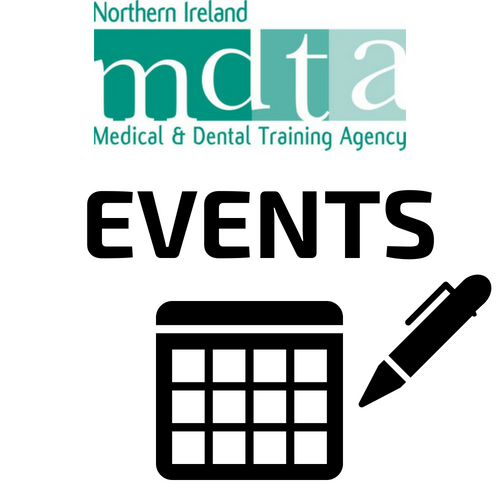 GP Trainee Contract – All training practices who have a St2 or St3 will receive the contract from NIMDTA HR Department. It will be populated with the relevant personal details of the trainee (including salary scale and holiday entitlement). The New Trainer Day took place on Thursday 14th May 2015 in Antrim Civic Centre. This event was organised for new GP Trainers due to start supervising on 1 August 2015. Please find below the presentations from the New Trainer Day, which took place on 15th May 2014. 1 session relating to Educational supervisor role, update training for WPBA/ e-portfolio. 1 session of update training in OOH (this is required whether you personally supervise or if you delegate this to another OOH supervisor). Attendance at approved learning activity outside the deanery, e.g. primary educator meetings, RCGP examiner, etc..
What are my commitments as a GPSt1 Educational Supervisor? You are expected to meet the GPSt1 Trainee 5 times over the year: August/September, November, January, April, May. Each session should be between 2-4 hours. You could use part of the November and April sessions to give the Trainee a brief induction into GP – obviously they can only observe. The August, January and May meeting should be focused on the ePortfolio completely as Educational reviews take place in January and May. Trainees are expected to add a minimum of 2 learning log entries to their ePortfolio every week, therefore as an ES you should check their portfolios regularly. If you do not see evidence of the trainee adding to their ePortfolio you should contact them to remind them. If you still do not see progress, please contact the Programme Director, who will help you. It is important that you familiarise yourself with all the guidance on the ePortfolio page of the website. This will include the GP Trainer Manual, minimum evidence requirement and other useful documents. Who is my Programme Director and how can I contact them? Please use this link to view the contact details of your Programme Director, localities can be seen on the table below. Who organises the training group meetings? The Trainer group meetings are organised by the Trainer Group convenor, please see above table for further information. These training groups meet a number of times per year for professional development. There are also regional trainers meetings when required. Where can I find RCGP Guidance on the ePortfolio? Please find RCGP Guidance on the ePortfolio using this link. Further information on Trainee exams and WPBA is available here. Please find useful information on Developing Reflective Practice by clicking on this link to the East Midlands deanery website. You can also download the attached document ‘Being a Reflective GP‘ by Dr Arthur Hibble, Honorary Senior Lecturer, University of East Anglia. Where can I find information on the RCGP Curriculum? Please find information on the RCGP curriculum using this link. Where can I find guidance on GP Educator notes (ePortfolio)? 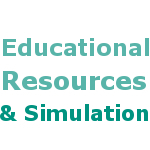 Please read the guidance from Dr M Stone on the use of GP Educator Notes on E-Portfolio. For enquiries regarding the RCGP ‘Training the Trainers’ course please contact RCGP Courses on 020 3188 7658 or email courses@rcgp.org.uk. Where can I find Out of Hours Sessions information? Please use this link for information relating to OOH Sessions. How can I share Good Practice in Training? We would like to use this area to share good practice in training, as such if you would like to share good practice in training, please send a description of the good practice to the GP Specialty Team at, gpspecialtytraining.nimdta@hscni.net. What GP Specialty Training Feedback is available? Please click here for feedback from F2 Trainees, November 2010.We hope to provide feedback to Trainers regarding ST2 and ST3 attachments in 2011-12.